One of my old clients want to turn to Joomla instead of a static HTML5/CSS3 responsive Multi-languages website. I'm a newbie to Joomla, and my biggest challenge is how to make a multi-languages Joomla website that contains RTL and LTR languages. so i started with testing the "language switcher module" I've enabled the "system plugin- language filter" and I've configured a position to the module. but it doesn't work. when I hover over the box and click on it, nothing appears, so the question is, how can i make it working ? the main problem is "the language switcher menu doesn't show any language code in it's list, it doesn't dropdown at all"
The recent versions of Joomla provide built-in multi-lingual capabalities. However, setting up a multi-language, requires a few more steps than just enabling the plugin and the language switcher module. Install the Language Packs, from the Extension Manager -> Install Languages. - This will translate system labels like read more etc. Define Content Languages - These are the languages that will be assigned to the content elements (articles, menus, modules etc). Enable & Configure System - Language Filter plugin. Create the languages category structure. - You need to create a root category for each language, e.g English, French and assign the content language you created earlier on each one. Then you can create the subcategories for each language. And remember to create a category Languages All, for content that will be used for all the languages. Create your main Articles and assign them to the languages. Create the menus and the menu items for each language. One menu for each language. You will need to have also an All (languages) Homepage menu item and a home menu item for each language and do all the menu items associations. Follow the same approach for any modules. Create the corresponding modules for each language. Publish the Language Switcher Module. Also, you may want to consider some 3rd party extensions that provide extra flexibility or a different approach. Make sure you have created the Home menu items and their language associations for each language. Try to follow the steps as described in the tutorials. The native multi-language system of Joomla is ok if you have a few articles and modules. If you have a lot of articles, modules, it’s not simple to handle because everything is in duplicate. Imagine if you have 500 articles, you will need 500 articles in English, 500 in french, etc. With this module, you have only one article and inside this article you manage the different translations. Same thing for module like menu. Take a look at our http://www.neno-translate.com it will fix issues like these when you install it and makes it easy to translate and manage your multilingual content. Joomla 3 has it's own inbuilt system for handling multi-language websites. No plugins or extensions are needed. Here is a step-by-step guide with screen shots showing exactly how you can set up a multilingual website. You can also troubleshoot your website if there is something not quite right by re-checking each step. Not the answer you're looking for? Browse other questions tagged joomla-3.x multilingual content administration or ask your own question. 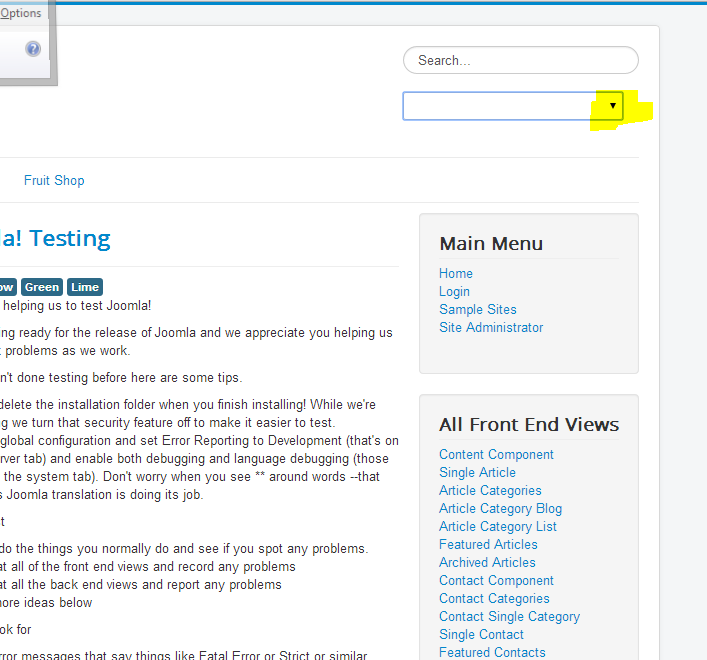 How can I configure Joomla with several languages?